We learnt that although the autopsy report had been released, the deceased’s family had yet to access it. she locked herself inside her room as claimed, how did her friend that was receiving her calls form her mum gain access to her phone. I believe she was right there with her monitoring the progress of whatever they were doing to her. That girl receiving that call should be properly investigated but its a pity Nigerian police does not work. this is a murder case, it should b well investigated. what a pity. All of you commenting here knew nothing about the school this underage girl happened to gain admission to. I would like to shift the blame on her parents. This girl is one of those ones that attended private primary and secondary schools. They were pampered to extent of being aided during Waec/ Neck exams sittings. The invigilators were paid to allow then to cheat, even solve those questions for them by experts. At the long run, they secured high grades of which they could not defend on getting to higher institution like highly rated OAU. Those lecturers could not be bought like those in secondary schools. Mind you, the school goes advanced more than the elementary you were taught in secondary schools. Tell me how could someone who could not defend O – level will succeed with A – level. 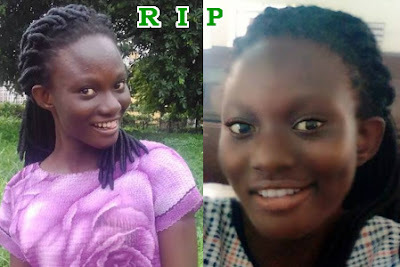 The resultant effect was that the lady feared being advised to withdraw from her course back home, she took her life instead. Such scenario is happening in UI of which students who scored on Credit levels and can defend their respective grades are denied admission. Those fools whom their parent paid private schools to buy results for their wards are granted admission. The worst is yet to cone.